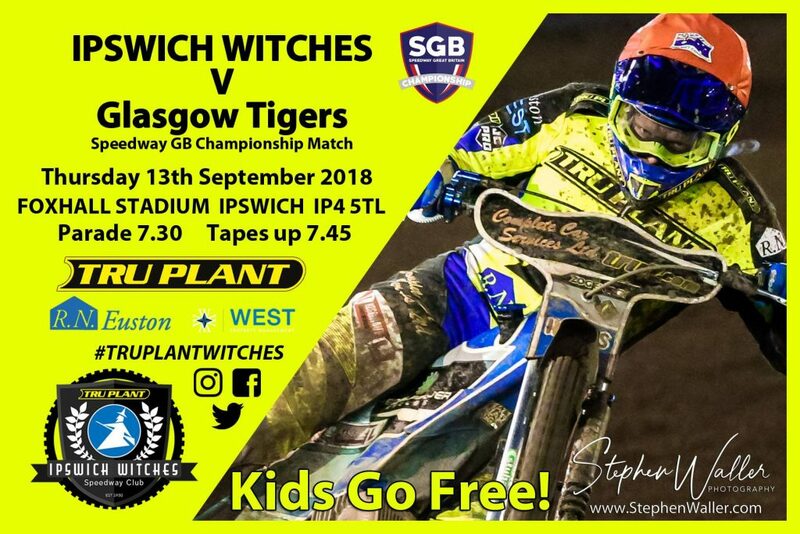 The ‘Tru Plant’ Witches face the Glasgow Tigers on Thursday at Foxhall in a Championship fixture. There was more weather frustration for the Suffolk side last week as their meeting with the Berwick Bandits was abandoned after six heats due to heavy rain. It was the third time this season the meeting has been postponed. Thursday’s encounter is also a re-arranged meeting after last month’s clash was called off despite the best efforts of the track staff to ensure that the track was raceable. The home side sit sixth in the table and have been left needing others to slip-up if they are to make the play-offs this season. All the Witches can do for now is try and win their final two home meetings and see what happens elsewhere, starting with Glasgow on Thursday. Richard Lawson guests at number one for long term injury victim Danny King and Mason Campton guests at number five for the injured Rory Schlein who is unlikely to return this season. It has been another difficult season of injuries for the club and although the play-offs seem unlikely the team will be fighting until the end to finish the season on a high. The Tigers are always one of the fancied teams at the start of the season as their ambitious board aim to bring silverware back to Ashfield and this year is no different. A league title has eluded them since 2011 but they lifted the Knockout Cup in 2016. The Scottish side have fallen in the play-offs the last three years and are up against it to make the top four this time around. 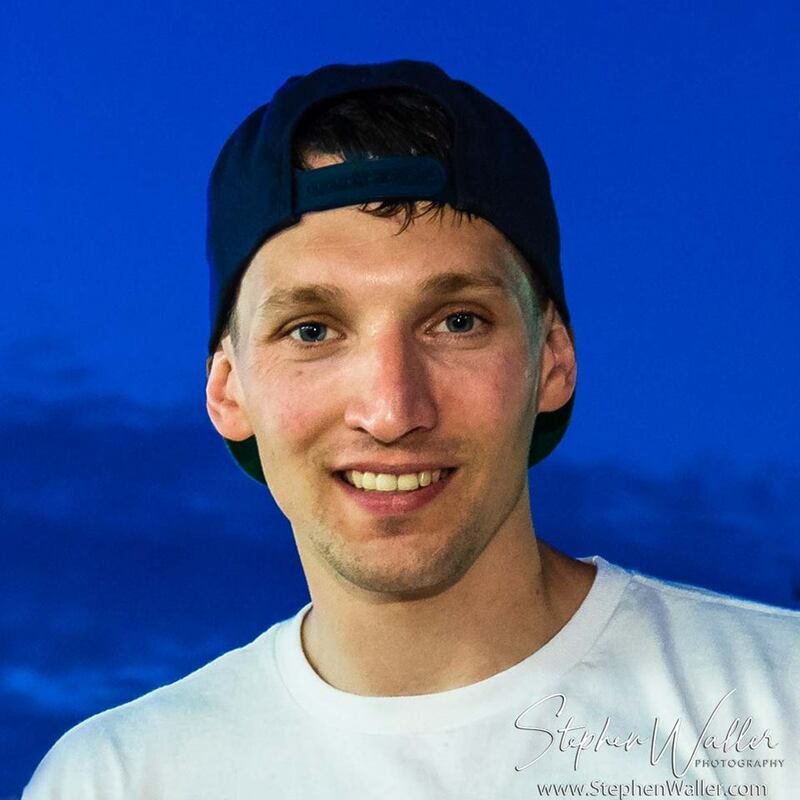 They currently occupy second spot but are likely to need points on the road in their two remaining away fixtures if they are to make the play-offs, making Thursday’s meeting at Foxhall crucial for the Tigers. In Craig Cook they have a current Grand Prix rider at number one and at three a former Grand Prix rider in Chris Harris. Former Witch James Sarjeant is at number two whilst Broc Nicol guests at reserve for the injured Nathan Greaves. Cook is the division’s big hitter and is a rider in terrific form at this level, having reeled off three consecutive five-ride maximums in his last three Championship fixtures. The GP rider also won the Championship Riders’ Individual title at Sheffield earlier this month and will be hard to beat on Thursday. Here is how the table currently stands with the top four making the play-offs. See below for all of the remaining fixtures for each team. ‘Tru Plant’ Witches Team Manager Ritchie Hawkins previews Thursday’s meeting. “Making the play-offs is still mathematically possibly but it is highly unlikely. We have to be professional and win our last two home meetings. Last week was frustrating, we tried to get the meeting on and all credit to everyone for racing but it had to be called off because the rain was torrential. “Glasgow are probably going to need an away win to make the top four, so it is a big meeting for them and they will be up for it. We don’t want to be losing any more meetings at home and if anything did happen and results went our way, we need to make sure that we have won our meetings and are ready to take advantage of it. “We have got Richard Lawson again and unfortunately he has been twice and they have both been rained off! We have also got Mason Campton at five and he is someone we know well and goes well at Foxhall. The Witches are in decent form having picked up points in their last three meetings. Ipswich thrashed Scunthorpe away from home before beating the Scorpions at Foxhall two weeks ago. The Witches were then narrowly beaten at Glasgow the following week, picking up a point. The Tigers went second in the table on Tuesday before heading to Foxhall and they come to Suffolk on the back of three wins having beaten rivals Edinburgh, the Witches and Newcastle in their previous last three home outings. The ‘Tru7.com’ Witches got back to winning ways with an impressive 52-41 over Glasgow last August at Foxhall, as they returned to the Championship summit. 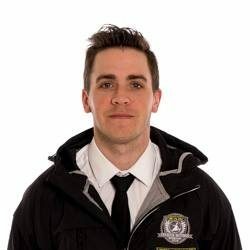 It looked like being a long night for the Witches after Kyle Newman was ruled out of the meeting following a fall in heat one but the home side rallied and were the better side throughout the contest as the visitors could only muster one heat advantage on the night through a tactical ride. Danny King was imperious for the home side with a 14+1 paid maximum.